Lake Toba has many beautiful places for sightseeing. Any effort to rank them by beauty shall be subject to challenge. Each area has its attraction. 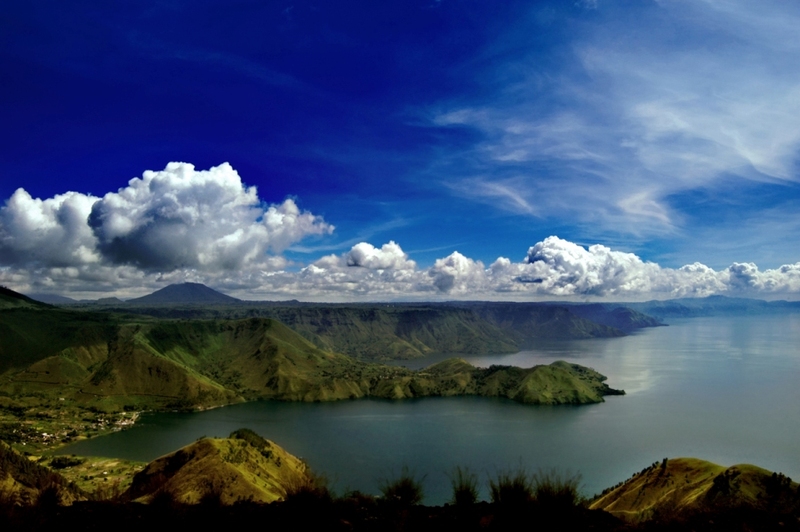 Nonetheless, our pick of 5 most beautiful landscapes on Lake Toba is as follows1. Tanjung Unta or Camel Cape is a small peninsula that looks like a resting camel on the town of Tigaras (1.5 hours north-west of Parapat). It is a virgin area of thin pine forest. 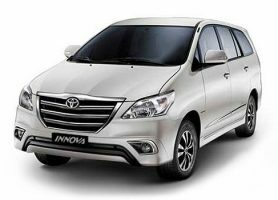 This place features a bay with a peaceful natural scenery surrounded by forest. Pine trees are lush in this area. The trees, the cape shape, and green lake water will make you amazed. 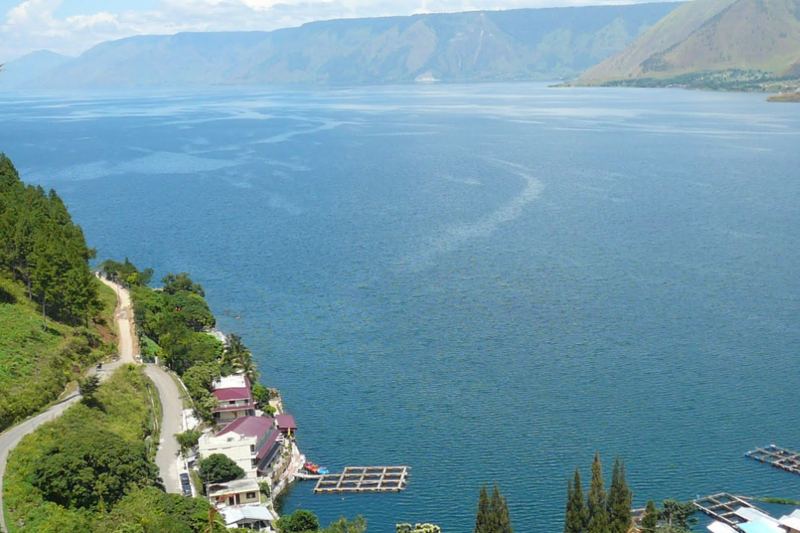 From this place, visitors can also see the shores around Lake Toba. Camel Cape is perfect for family vacations. See more. 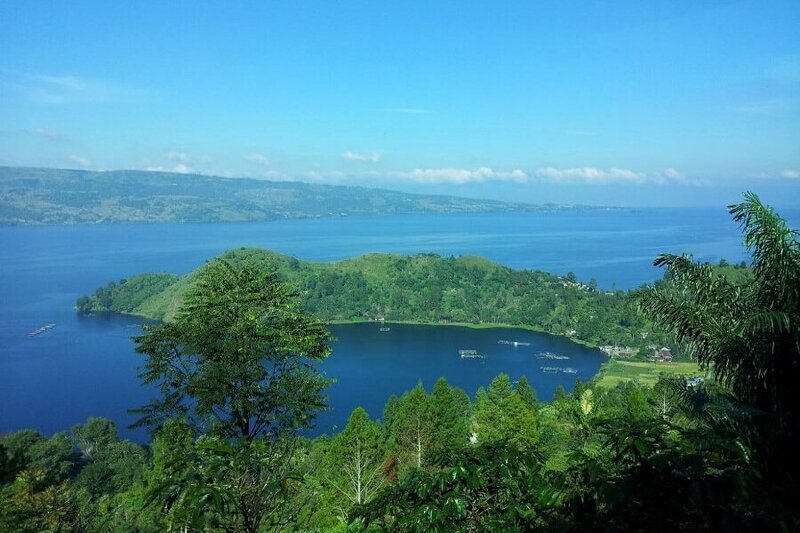 Bakkara Valley sits between two rows of hills and offers an open view of Lake Toba. 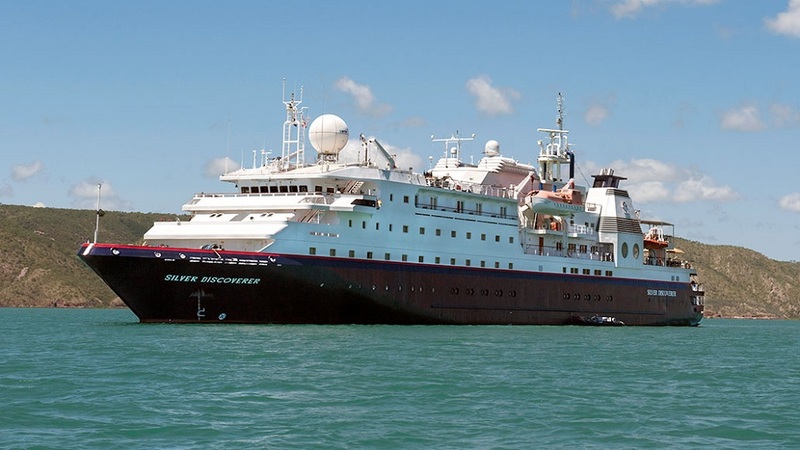 The two natural fortresses have been keeping the lives of their people for hundreds of years. It was where Batak kings settled, too. The tombs and palaces of the kings are located here and are now 400 years old. They are next to one of the rivers, a rice field, and neatly arranged rocks that used to be the wall surrounding the settlement that had protected the kingdom from enemies until King Sisingamangaraja XII died in 1907. See more. 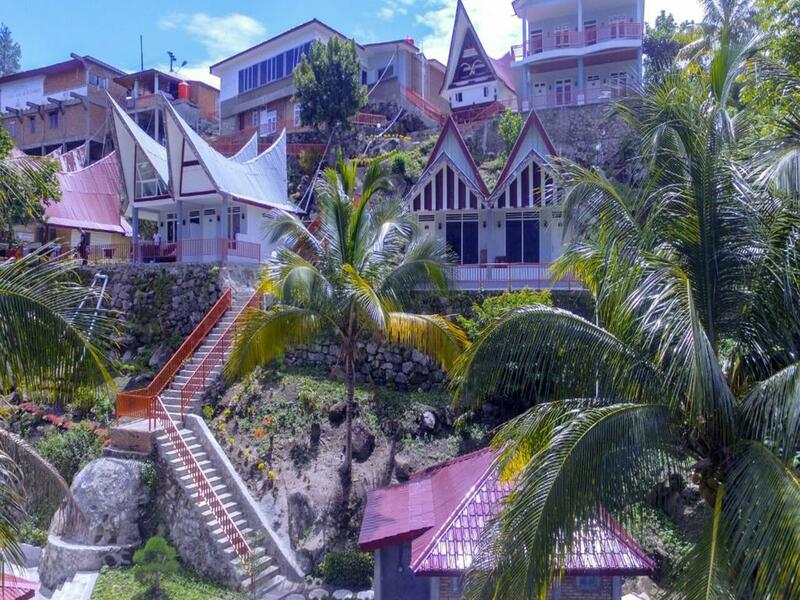 Haranggaol is a basin area on the north shore of Lake Toba, famous for its scenic beauty and a cave. It used to be the spot of vacations for Batak kings. The area is also famous for fishing activities, too. You can fish while enjoying the beauty of the lake from the northern region. See more. Gajah Bobok Hill is among the highest landscapes in Karo, which offers the unique view of the lake Toba from its northern tip. At night when the sky is bright, you can enjoy the stars shining above the lake, and you wonder if a small ocean is underneath. The world’s largest volcanic lake lies with tranquility. At dawn, enjoy the sunrise as Lake Toba wakes up in a bluish tint and stretches wide under this and other hills. See more. Sigulanti is a village in the district of Sianjur Mulamula, Samosir, famous as the first settlement of Batak. 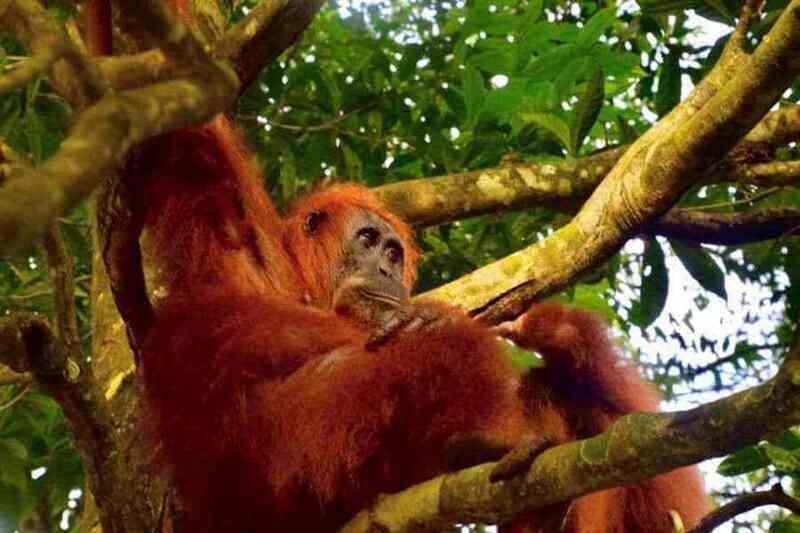 It is in a beautiful flat valley at the foot of Mount Pusuk Buhit. Beautiful hills, an expanse of rice fields and the lake surround the village. Coffee and other vegetation planted by local farmers in particular areas have added to its charm. See more. 1Note: Holbung Hill, Simalem and Bukit Indah Simarjarunjung are also beautiful, not repeated here since they are already on the Must-See Points of Interest on Lake Toba. 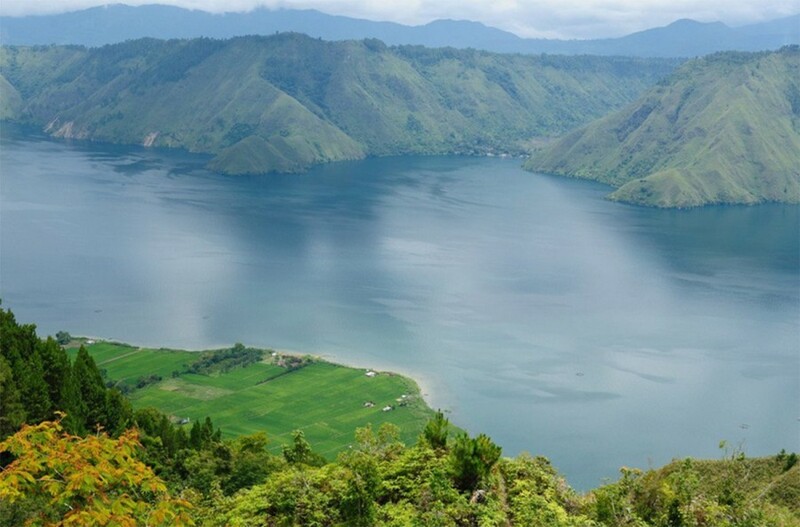 Altogether, they are 8 most beautiful landscapes on Lake Toba. See also 5 Most Amazing Waterfalls on Lake Toba.